Netflix unveiled a 30-second commercial during the Super Bowl for the eight-part nature series, which is released in April. Sir David Attenborough’s Our Planet is one of the most highly-anticipated TV events of 2019. Uniting the legendary broadcaster, Netflix and WWF, the world’s leading conservation organisation, the project has been four years in the making. The hype and excitement around the series was only boosted further when Netflix used its sole ad spot during the Super Bowl to promote the nature series. Viewers watching the Rams and Patriots game got a 30-second ‘first look’ trailer, which featured the stunning footage we’ve come to expect from Attenborough and his collaborators Silverback Films. The short commercial played on the sporting theme of the Super Bowl with the tag line, “we’re all on one team”. Netflix and Attenborough hope that the new series will educate viewers on the perils facing the planet and drive home the message, "our planet is our home and this is more than just a game". This ground-breaking series will showcase the planet’s most precious species and fragile habitats, looking at Earth in ways we’ve never seen before, using the latest 4k camera technology. Filmed in 50 countries and every continent of the world, Our Planet required 600 crew members and three and a half thousand filming days. Speaking at WWF's State of the Planet Address event in London, Sir David Attenborough said: "Our Planet will take viewers on a spectacular journey of discovery showcasing the beauty and fragility of our natural world. 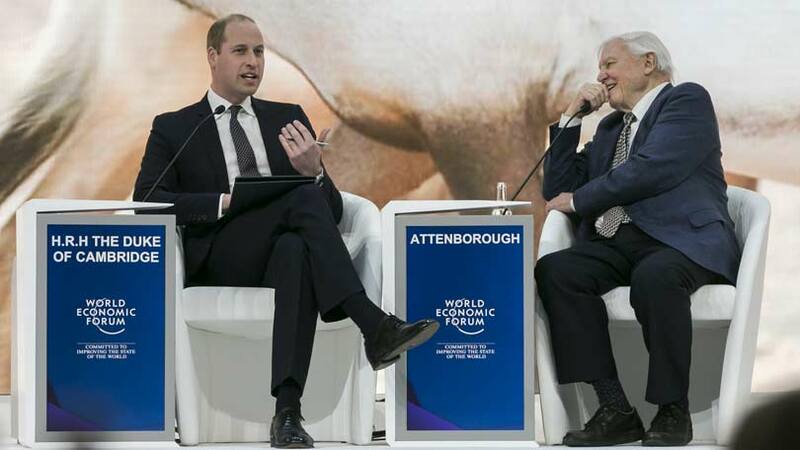 Earlier this year, Sir David Attenborough and Prince William appeared on stage together at the World Economic Forum in Switzerland and talked about the themes and importance of the stories told in Our Planet. 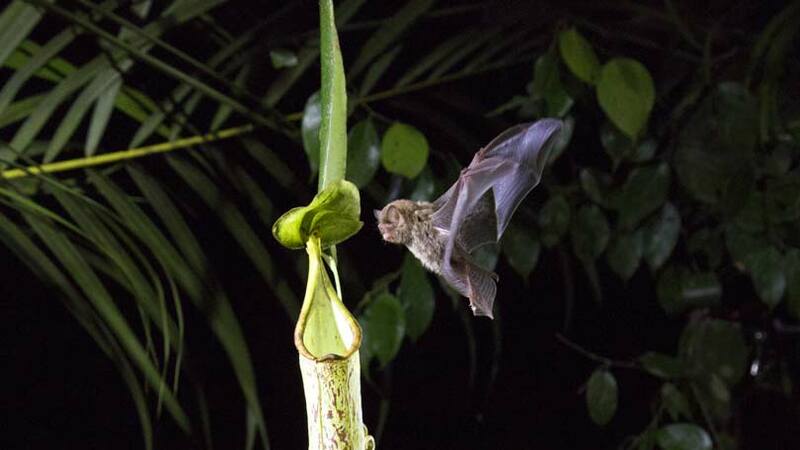 "We're now so numerous, so powerful, so all-pervasive, the mechanisms we have for destruction are so wholesale and so frightening, that we can actually exterminate whole ecosystems without even noticing it," said Attenborough. "We have to now be really aware of the dangers of what we’re doing, and we already know that of course the plastic problem in the seas is wreaking appalling damage upon marine life, the extent of which we don’t yet fully know." He added: "If we don’t recognise the kind of connections I’ve been describing, then the whole planet comes in hazard, and we are destroying the natural world and with it ourselves." Explaining the changes in technology and TV since he started broadcasting, Attenborough said: "Around 50 or 60 years ago we would film something like an armadillo, which most people in Britain or indeed Europe had never seen. "It didn't matter how amateurish it was - the viewer just saw an armadillo and were just astonished. "Now we can go everywhere - to the bottom of the sea or into space, slow things down, speed things up or film in the dark. We are doing things that 20 years ago nobody could ever imagine." Our Planet will launch globally on Netflix on April 5, 2019.